Creative Access is a UK based organisation set up as a Community Interest Company (CIC), meaning that it works as a not-for-profit social enterprise that re-invests all the profits made. Creative Access aims to help black, Asian and other non-white minority ethnic (BAME) talented young people secure a job or paid training opportunities in the creative industries. The same objective is pursued for those talented people coming from lower socio-economic statuses (SES). Creative Access long-term mission is to ensure that their candidates will progress into managerial positions, and in turn, bring others from under-represented communities in alongside them. 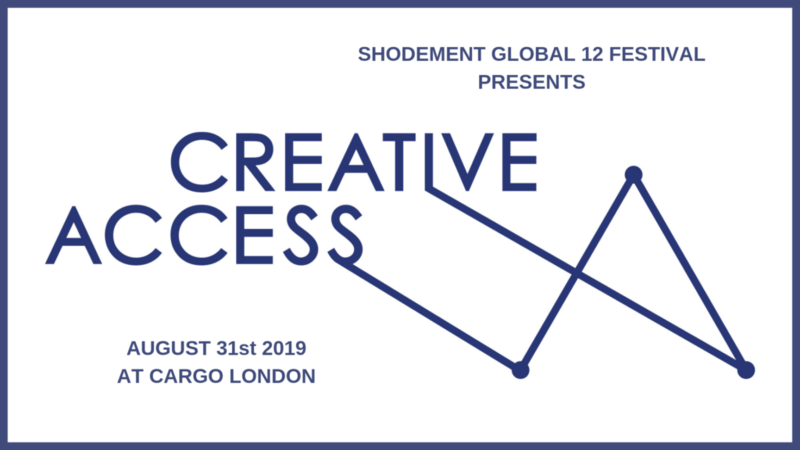 The organisation will partner up with Shodement Global 12 Festival and will bring you the ultimate summer party, taking place at Cargo – London on the 31st of August 2019.